FEATURES: Usage: Precise control for assembling compression mount frames. USAGE: Jaw design features grooves to cradle sleeves and hardware for precise control while assembling. Lens side jaw rocks to adjust for base curve during assembly. Non-marring jaws prevent lens damage. "Cushioned handles for comfort." All ErgoPro tools come with a lifetime guarantee, this does include the cutting plier. 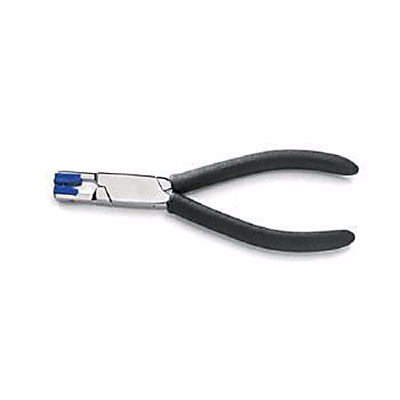 Generally it is a no quibble, no fuss guarantee but with the cutting pliers we normally do check they have been used to cut what the plier specification states as their purpose.